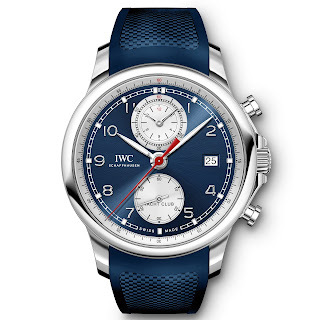 IWC offers a splash of summer - sea and sun for your wrist that isn’t a diver. They have launched a new edition of the Portugieser Yacht Club Chronograph as part of their Summer Editions collection. With a water-resistant Stainless steel case, a blue dial and a durable blue rubber strap, this sporty yet elegant chrono is the perfect non-diver for the warmer months to ahead. In addition to the above, IWC has also launched a special collection of matching fabric NATO-style straps, offered in trendy blue and light grey which are available from all IWC boutiques. These chic straps are designed to accessorize selected watches from the Pilot's Watches, Portugieser and Portofino ranges and will only be available for a limited amount of time. Though, I have not heard of any being offered for the Aquatimer – a missed opportunity imo. 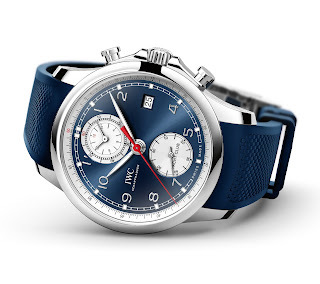 Back to the Portugieser Yacht Club Chronograph Ref. 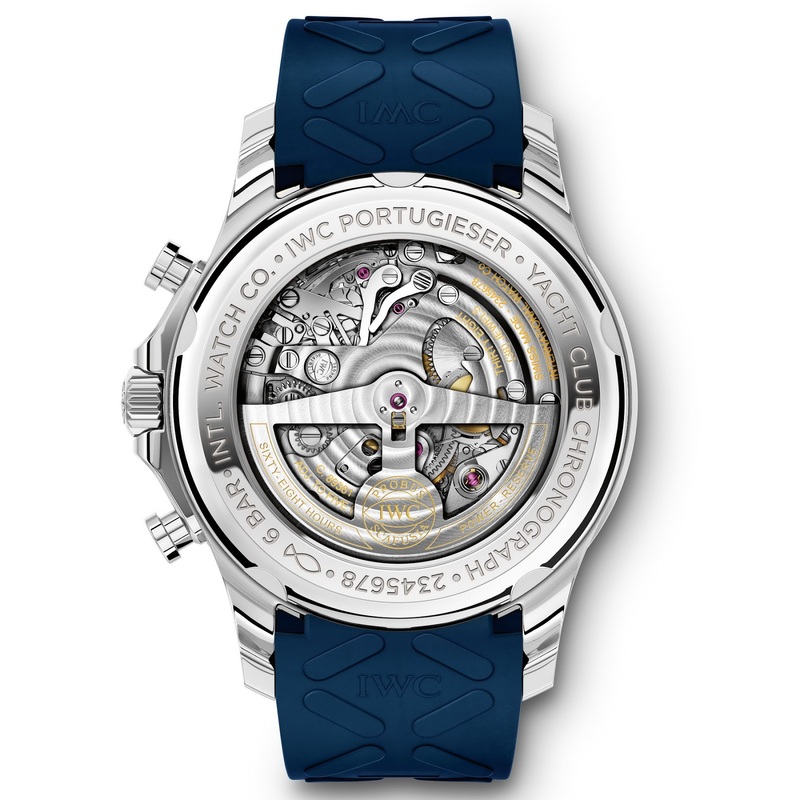 IW390507 with its water-resistant Stainless steel case with integrated crown guard and its sporty blue rubber strap designed (say IWC) as the ideal companion for your next sailing trip – or whatever summertime escapades you might have planned. 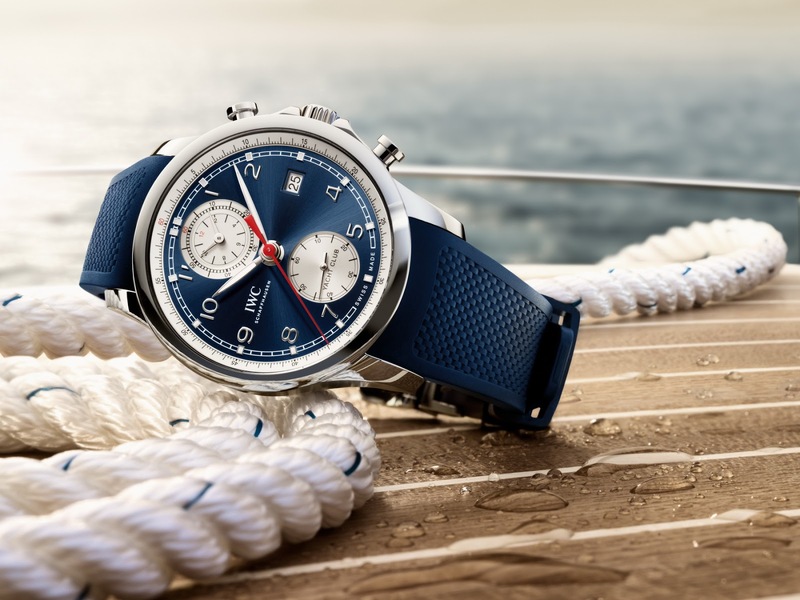 The blue dial with white counters, rhodium-plated hands and the red secondhand of the chronograph produce an overall look that's deliberately nautical. The 89361 manufacture caliber with flyback function indicates the measured hours and minutes together on a sub-dial at 12 o'clock, while the quarter-second scale that surrounds the dial allows for precise measurement of shorter time periods. 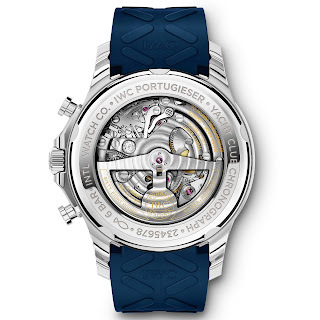 Its see-through case-back in Sapphire crystal offers a crystal clear view of the mechanical inner workings of the Portugieser Yacht Club Chronograph. What do you think; does this float your boat? Strictly a diver guy? Check out IWC’s newest AQUATIMER.